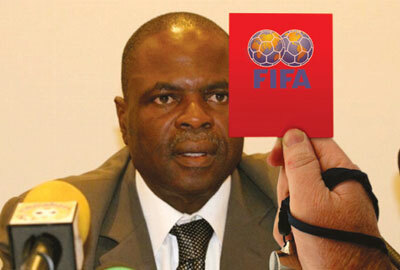 Nigeria’s former football official Amos Adamu was on Tuesday banned for two years by world governing body FIFA for ethics violations. Adamu, a former FIFA executive committee member and West African Football Union president, cannot take part in any “football-related activity at national and international level” for the next two years, FIFA said in a statement. The sanction is effective from February 28. Adamu, 62, had already served a three-year ban in 2010 for accepting bribes in relation to the attribution of the 2018 World Cup to Russia and 2022 tournament to Qatar. An investigation into Adamu was opened on March 9, 2015. A final report was passed to FIFA’s adjudicatory chamber last December recommending a sanction, after which ethics committee chairman Hans-Joachim Eckert decided to open proceedings. FIFA said on Tuesday that “through his involvement in the organisation of an event in 2010, while being a member of the (then) FIFA Executive Committee, Mr Adamu violated … the FIFA Code of Ethics”. World football’s governing body has been in turmoil since last year due to a number of corruption scandals, including that of a two million Swiss franc payment made by former president Sepp Blatter to ex-UEFA supremo Michel Platini that saw both men banned from the game.